Mandatory Metallica is now Mandatory Monday! And now, introducing Metalli-kids, Tuesday through Friday at 6pm! Every band has been influenced by Metallica in some way, hence Metalli-kids! 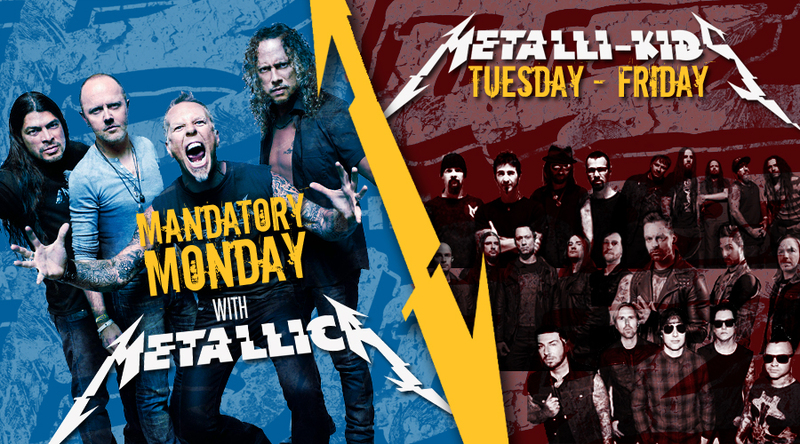 Mandatory Monday is still reserved for your two favorite Metallica songs but Tuesday through Friday it's Metalli-kids, your choice of two-in-a-row from anyone! Two of any Blitz artist you like, except Metallica! It's Metalli-kids, weekdays Tuesday through Friday on your rock station, 99.7 The Blitz! Just call in your request at 614-821-9970 or text Ronni at 99700!